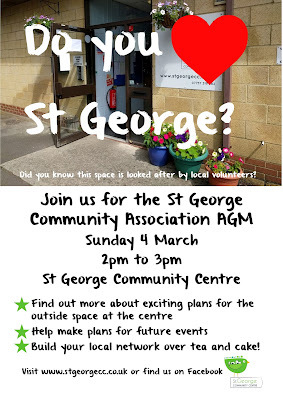 St George Community Centre: AGM - Sunday 4th March 2-3pm. 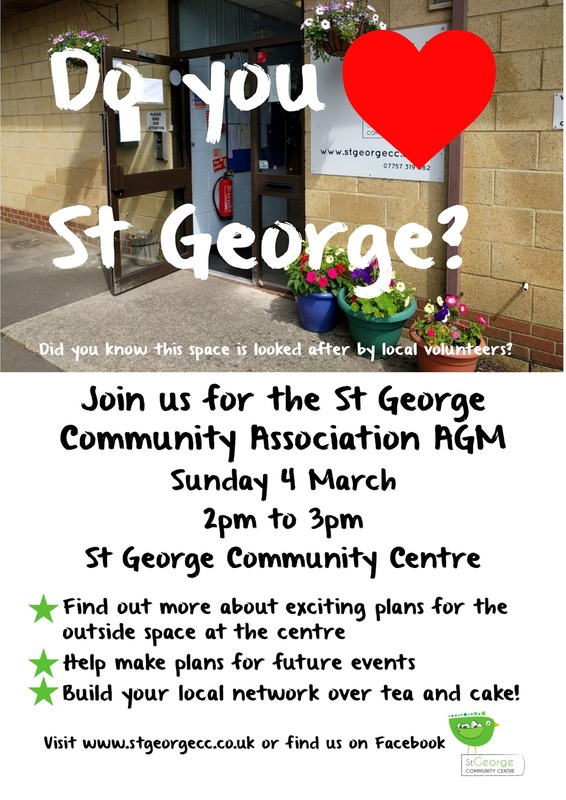 If you love St George, and want to get more involved in your local community, then you need to join us on Sunday 4 March. Now we know that the words Annual General Meeting sound very official (and dare we say it, dull?) But really this is your chance to get together with your neighbours over a cuppa and find out some of the things we have planned for the community centre this year. We will present our accounts, so you can see where our money comes from and what we do with it. We will also be joined by Mark from UWE, who will be sharing some exciting plans we have for the outside space at the centre. In these days of council cutbacks, let's look after the spaces that are still in community ownership. This is your community centre, get involved! All welcome. Bring the kids too - we will have some toys and activities to keep them occupied.